“How can you buy or sell the sky, the warmth of the land? The idea is strange to us. If we do not own the freshness of the air and sparkle of the water, how can you buy them? The white man’s dead forget the country of their birth when they go to walk among the stars. Our dead never forget this beautiful earth, for it is the mother of the red man. The rocky crests, the juices in the meadows, the body heat of the pony, and man—all belong to the same family. So, when the Great Chief in Washington sends word that he wishes to buy land, he asks much of us. The Great Chief sends word he will reserve us a place so that we can live comfortably to ourselves. He will be our father and we will be his children. So we will consider your offer to buy our land. But it will not be easy. For this land is sacred to us. This shining water that moves in the streams and rivers is not just water but the blood of our ancestors. If we sell you land, you must remember that it is sacred, and you must teach your children that it is sacred and that each ghostly reflection in the clear water of the lakes tells of events and memories in the life of my people. The rivers are our brothers, they quench our thirst. The rivers carry our canoes, and feed our children. If we sell you our land, you must remember, and teach your children, that the rivers are our brothers, and yours, and you must henceforth give the rivers the kindness you would give any brother. We know that the white man does not understand our ways. One portion of land is the same to him as the next, for he is a stranger who comes in the night and takes from the land whatever he needs. The earth is not his brother, but his enemy, and when he has conquered it, he moves on. He leaves his father’s graves behind, and he does not care. He kidnaps the earth from his children, and he does not care. His father’s grave, and his children’s birthright, are forgotten. He treats his mother, the earth, and his brother, the sky, as things to be bought, plundered, sold like sheep or bright beads. His appetite will devour the earth and leave behind only a desert. I do not know. Our ways are different from your ways. The sight of your cities pains the eyes of the red man. But perhaps it is because the red man is a savage and does not understand. There is no quiet place in the white man’s cities. No place to hear the unfurling of leaves in spring, or the rustle of an insect’s wings. But perhaps it is because I am a savage and do not understand. The clatter only seems to insult the ears. And what is there to life if a man cannot hear the lonely cry of the whippoorwill or the arguments of the frogs around a pond at night? I am a red man and do not understand. The Indian prefers the soft sound of the wind darting over the face of a pond, and the smell of the wind itself, cleaned by a midday rain, or scented with the pinion pine. The air is precious to the red man, for all things share the same breath—the beast, the tree, the man, they all share the same breath. And if we sell you our land, you must keep it apart and sacred, as a place where even the white man can go to taste the wind that is sweetened by the meadow’s flowers. So we will consider your offer to buy our land. If we decide to accept, I will make one condition: The white man must treat the beasts of this land as his brothers. I am a savage and I do not understand any other way. I’ve seen a thousand rotting buffaloes on the prairie, left by the white man who shot them from a passing train. 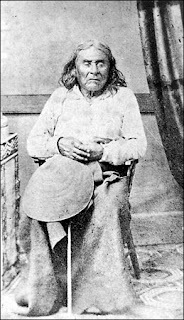 I am a savage and I do not understand how the smoking iron horse can be more important than the buffalo that we kill only to stay alive. What is man without the beasts? If all the beasts were gone, man would die from a great loneliness of spirit. For whatever happens to the beasts, soon happens to man. All things are connected. This we know: The earth does not belong to man; man belongs to the earth. This we know. All things are connected like the blood which unites one family. All things are connected. Whatever befalls the earth befalls the sons of the earth. Man did not weave the web of life: he is merely a strand in it. Whatever he does to the web, he does to himself. This earth is precious to Him, and to harm the earth is to heap contempt on its Creator. The whites too shall pass; perhaps sooner than all other tribes. Contaminate your bed, and you will one night suffocate in your own waste. But in your perishing you will shine brightly, fired by the strength of God who brought you to this land and for some special purpose gave you dominion over this land and over the red man. You should here the speech put to music. Soundgarden covered Black Sabbath's Into the Void and replaced the words from Sealth's speech. Here is a link - http://en.wikipedia.org/wiki/Badmotorfinger. If you scroll down it gives a summary. Oops, please replace "here" with "hear."